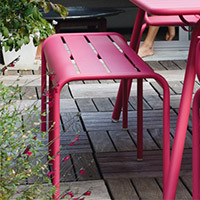 OUTDOOR FURNITURE & PLANTERS EVENT SAVE UP TO 20% NOW. Limited time only. 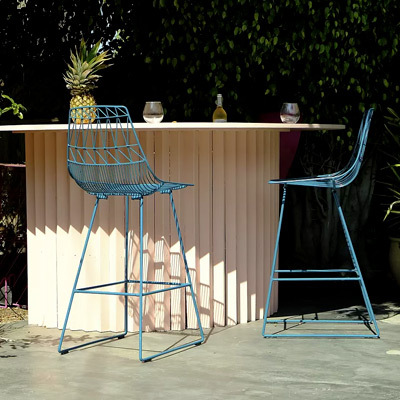 Take the party outside with modern outdoor furniture and accessories that are built to withstand both the elements and the test of time. 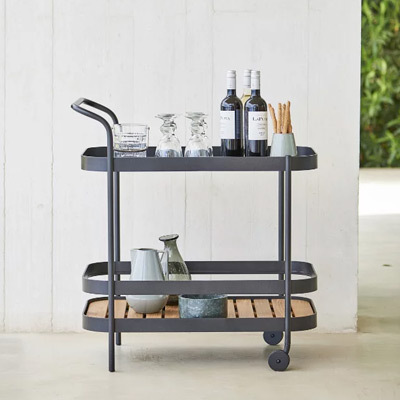 Ranging from colorful and whimsical to sleek and stainless steel, all the outdoor furniture and patio accessories included here give a wholly modern impression. 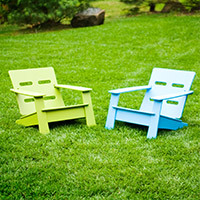 Geometric birdhouses, sleek outdoor torches, barbecue implements for outdoor entertaining and flashing pinwheels make your yard a playfully contemporary place in which to relax. They also add the same atmosphere of comfort and convenience to the outdoors that you would normally only expect to find indoors. In your patio or outdoor living space, you'll want to complement existing lighting, furniture and other decorative elements with these designs. Create a modern container garden around a patio with the varied selection of raised planters and be sure to browse all of the corresponding gardening accessories. Even if you are not a green thumb, you'll appreciate these eye-catching designs in your backyard. Overhead, look to the selection of patio ceiling fans to help keep a cool breeze in the space. You'll also want to take a look at all of the lounge chairs, coffee tables and patio sofas in the collection of outdoor furniture. And add the warmth of firelight--both real and simulated--throughout a yard with candles, oil lamps, outdoor fireplaces, Tiki torches or LED-powered Candelas. With the right selection of well-chosen outdoor living products, you'll have no problem staying outside after the sun goes down. 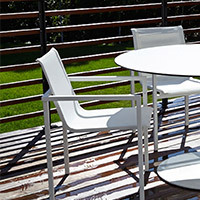 Outdoor living products accommodate a variety of decorative styles. 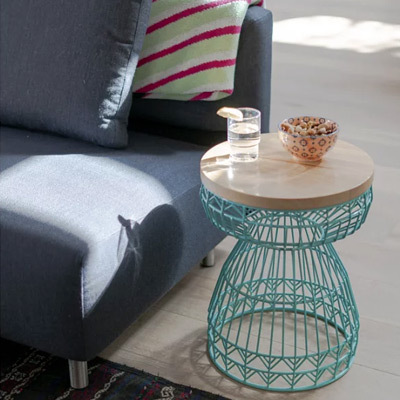 From clean-lined entertaining accessories to bold, colorful doormats, you're sure to find an assortment of designs that will fit your deck or patio. 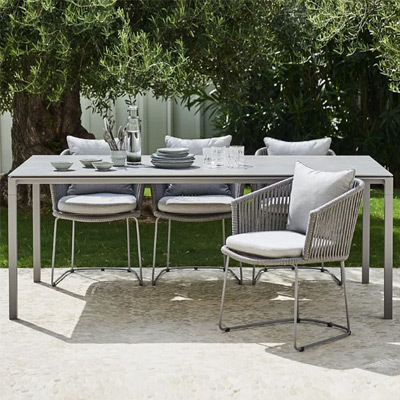 If you prefer the contemporary nature of stainless steel designs, look to the gardening and outdoor dining products from Blomus. 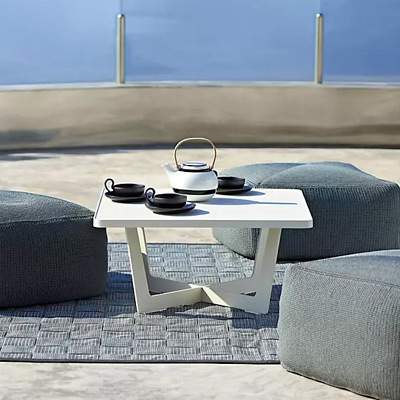 Chilewich has a number of popping floor coverings meant for outdoor use, as well as intricate patterns that will add an elegant touch to your patio. 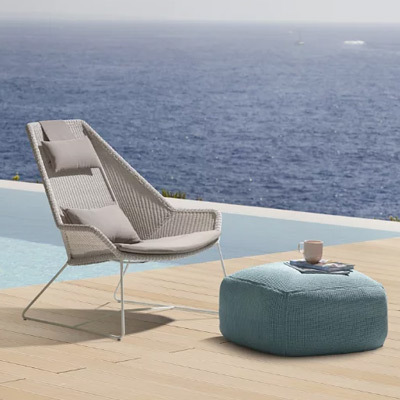 You'll love the collection of contemporary chairs and outdoor-friendly sofas from Blu Dot or if you are looking for something really comfortable, check out the hammocks from Fatboy. For any outdoor living style and any need, you're sure to find the perfect variety of furniture and accessories here. 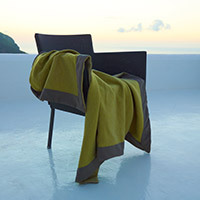 The products featured here are meant to accommodate your outdoor living experience, making it both enjoyable and comfortable. Once you have determined the preferred style of your outdoor space, you simply need to select the colors, finishes and sizes of the furniture and accessories that will bring out the character of your deck, patio or front porch. When it comes to certain furniture items, you'll want to make sure they are weatherproof and make sure your space can appropriately fit an outdoor sofa or patio dining set. 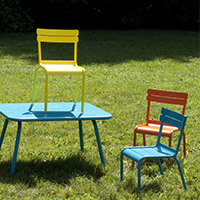 If you have any questions about the outdoor living accessories featured here, please call our experts at 877.445.4486. Make an impression at the front door with a modern doorbell or other hardware like house numbers and a stylish mailbox. Landscape lighting adds yet another layer of personalizing distinction to outdoor spaces, not to mention mood-enhancing light and an element of safety (path lights, post lights and in-ground fixtures). Meanwhile, back indoors, decorative accessories provide necessary final touches to modern decor.